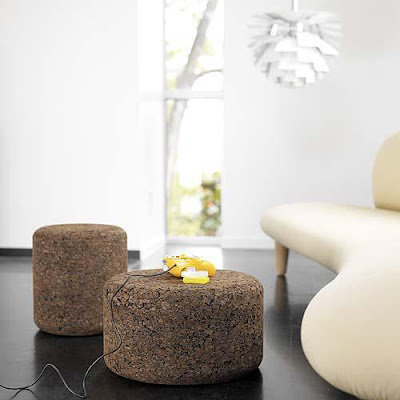 We love these earth friendly Cork Stools by Jasper Morrison. These distinctive Cork Stools can be used small side tables or stools. Robustly built, stable and individual in character, the attractive Cork Stools are truly timeless. The Cork Stools was designed by Jasper Morrison for Moooi in the Netherlands. The Jasper Morrison Cork Stools are turned from agglomerate cork, a naturally sound choice since cork has several advantages: cork is a warm material thanks to its great thermal values, it is naturally waterproof and enormously tough. 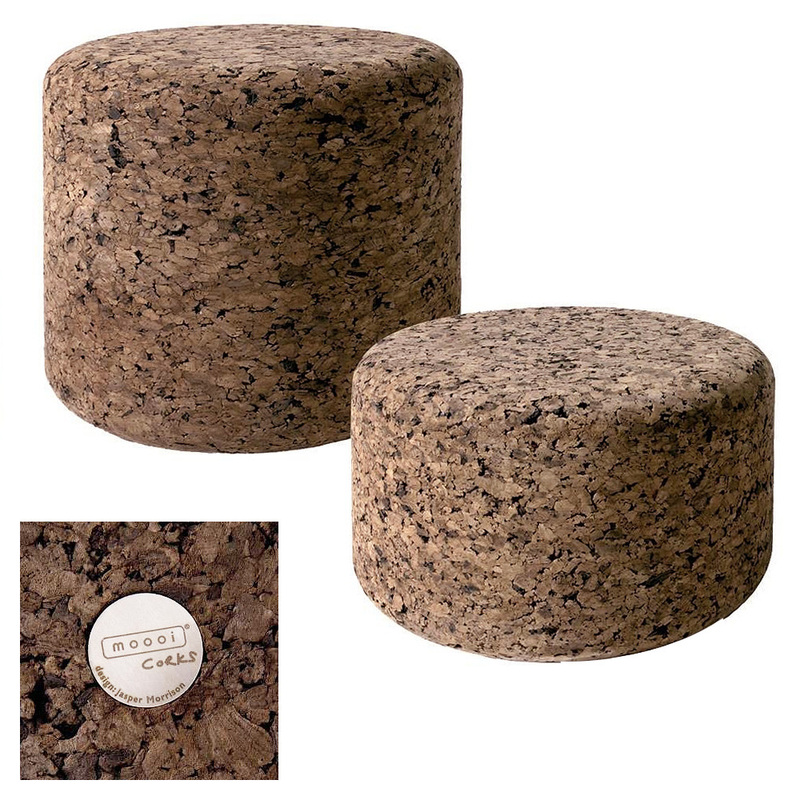 These Cork Stools are therefore perfect for a variety of applications, use them in the living room, bathroom, day spa, etc.. These attractive Cork Stools will compliment any interior. Select from either a low or tall version. The Cork Stools feature a small engraved plate with the Moooi logo and the name of the designer Jasper Morrison on the underside.